Gallstones are hard deposits formed in the gallbladder. The gallbladder is a small organ located below the liver which secretes digestive enzymes. Gallstones differ in size; they can be very minute or large as the size of an apricot. Gallstones contain cholesterol, bile salts or bilirubin. 80% of the gallstones contain cholesterol while 20% are made of calcium salts and bilirubin. Cholesterol gallstones develop when there is excess cholesterol in the bile secreted by the liver. Bilirubin is a compound produced by the liver to destroy old red blood cells. Gallstones from bilirubin develop when the gallbladder can’t break down excess bilirubin. Concentrated bile can also lead to the formation of gallstones. Risk factors for developing gallstones include obesity, diabetes mellitus, consuming a diet high in fat or cholesterol, liver cirrhosis, etc. Most people do not experience any symptoms. When gallstones block the duct which send the bile to the digestive system, people start experiencing symptoms such as upper abdominal colicky pain, nausea, and vomiting, fever, yellowing of skin, etc. Extreme gallstone pin is known as ‘gallbladder attack’ which lasts for 1-2 hours. This occurs when the gallstone blocks the duct that transports bile. Medications are prescribed to dissolve the gallstones but these take quite some time to show effect and gallstones may return. Surgery to remove gallstones or gall bladder is recommended when symptoms are significant. What is the role of turmeric in gallstones? Turmeric’s anti-inflammatory property and ability to prevent gallstone formation makes it a therapeutic agent in the treatment of gallstones. 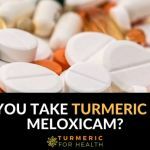 However, studies show that curcumin can cause gall bladder contraction which brings about confusion as to whether turmeric should be taken in gallstones or not. Rashid et. 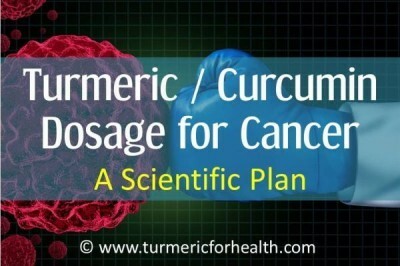 al conducted a study where they examined the effect of curcumin as a cholecystokinetic agent. A cholecystokinetic agent is one that causes gall bladder contraction and rapid emptying of the gall bladder. 12 healthy individuals were given a single oral dose of 20mg curcumin and its effect on contraction on gall bladder was studied. Within 2 hours there was a significant increase in contraction of the gall bladder was observed and 29% contraction was observed. Another study was conducted where the dose of curcumin required to bring about 50% contraction of the gall bladder was ascertained. 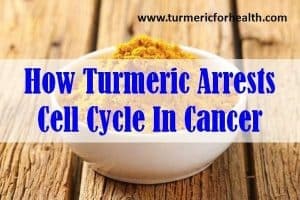 It was found that a dose of 40mg curcumin after 2 hours brings about 50% contraction of the gall bladder. However, these findings are proven in healthy individuals. If these are held true for individuals suffering from gallstones, then contraction of gall bladder to this extent will cause severe pain and discomfort. Hence it is advised to avoid curcumin supplements when suffering from gallstones or bile duct obstructions. 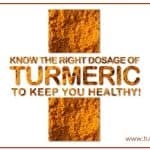 Dietary turmeric is unlikely to pose this problem since curcumin accounts only for 3-5% of the dry root content. Curcumin at doses of 20-40mg can cause gall bladder contraction and emptying in healthy individuals. It is not proven if curcumin would cause the same effect in individuals suffering from gallstones or bile duct obstruction, but as a precautionary measure it is advised to avoid curcumin supplements in such cases. Dietary turmeric is not likely to pose such problems if suffering from gallstones or bile duct obstruction. Turmeric is identified as a herb that prevents gallstone formation. Hussain et. al have shown that curcumin can reduce the incidence of developing gallstones due to high cholesterol diet by 26%. 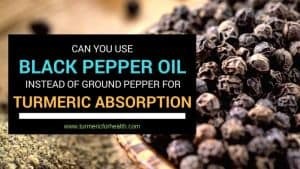 An animal study was conducted where mice were fed a gallstone forming diet (high cholesterol diet) and treated with curcumin and/or piperine (the active constituent of black pepper). Results demonstrated that combination was successful in preventing the formation of gallstones and reduced the cholesterol and bile levels. Piperine potentiated the effect of curcumin. Combination of curcumin and capsaicin (the compound that offers pungency to chillies) also prevents the formation of gallstones by improving the function of the liver and raising the level of antioxidant enzymes in the liver. Cholestasis is a condition in which the bile from the liver does not reach the intestine. Various reasons could be responsible for this, including obstruction of bile duct by a gallstone. Animal study shows that curcumin treatment protects the liver from damage and reduces oxidative stress and inflammation in cholestasis or bile duct obstruction like conditions. Bilary dyskinesia is a disorder in which the bile cannot physically move to through the duct. Turmeric in combination with herb chelidonium is found to reduce colicky abdominal pain and other symptoms in individuals suffering from bilary dyskinesia. Cholecystotectomy is surgical removal of the gall bladder. A study was conducted where curcumin or painkillers were prescribed to individuals who had undergone laparoscopic cholecystotectomy to help deal with postoperative pain and fatigue. Within the first two weeks, pain was significantly lower in the group treated with curcumin. At week 3 the study group experienced a significant reduction in pain and use of painkillers was also reduced. 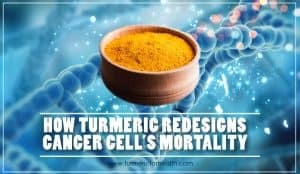 The findings of this study show that curcumin can be taken by individuals who have their gall bladder surgically removed. Research suggests that curcumin can aid in prevention of gallstone formation by regulating bile and cholesterol levels. 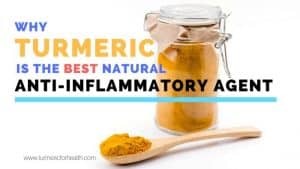 Curcumin by virtue of its anti-inflammatory and antioxidant properties shows therapeutic effect in gallbladder related problems but studies on humans need to be conducted. 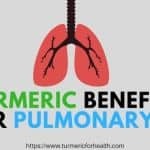 It can be safely concluded that dietary turmeric would not cause any adverse effect on the gallbladder and can serve to be therapeutic in gallbladder disorders. Based on the data available to date, curcumin supplements should be avoided by those suffering from gallstones or bile duct obstructions. Dietary turmeric can still be safely consumed. However, stick to small quantities or if cautious avoid turmeric till the gallbladder obstruction or gallstone is removed or dissolved. 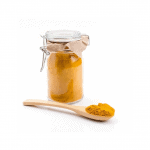 If intending to take turmeric for PREVENTION of gallstone or any other disorder we recommend The Golden Paste. 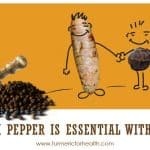 It combines turmeric, black pepper, and fats which ensure good absorption of turmeric. Golden paste can be made from fresh roots as well. Start with 1/4 tsp a day and increase gradually over weeks. 1-2 teaspoons once or twice a day can help (precisely 1 tsp 3 times a day). Here are some easy ways to use The Golden Paste. Turmeric Milk is also a delicious option. 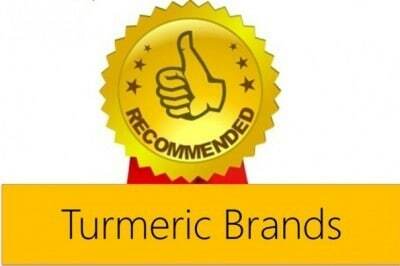 If you need help ascertaining a good brand of turmeric please visit check our recommendations on good turmeric brands. If suffering from bleeding risks please consult a health practitioner before taking turmeric and curcumin supplements should be avoided. Curcumin is proven to cause gall bladder contraction in healthy individuals. Hence it is advised that people suffering from gall stones or bile duct obstructions should avoid curcumin supplements. However, studies in humans are required to prove this data. Turmeric can be beneficial in preventing gallstones and treating other gallstone disorders. 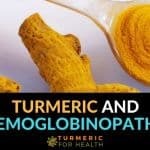 Dietary turmeric can benefit in the treatment of these disorders. 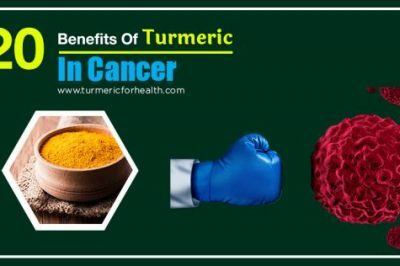 Till further research is conducted, it is safe to say that curcumin supplements should be avoided in case of gall bladder obstruction disorders or active gallstones but dietary turmeric can still be consumed. In the research above, the healthy persons who took turmeric got their gal bladder contracted. Did they have any feeling, pain or sensation of contraction in their upper abdomin? I don’t have a gallbladder. 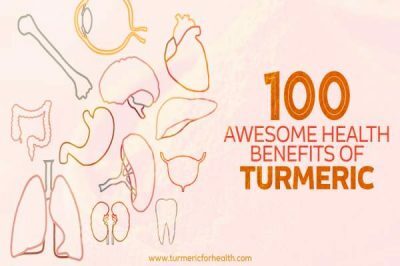 What affect will Turmeric Paste taken in milk, bone broth and lemon water have? Hi. Turmeric in the diet is safe even after a gallbladder surgery. I’m attempting to find out the following. I don’t have a gallbladder. Should I use Turmeric Honey Paste? 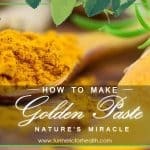 What is the advantage of heating the turmeric when making Golden Paste? I have been mixing raw turmeric with coconut oil and black pepper and having it in a warm drink. Do I need to be boiling or simmering it first for maximum benefits? Hi. 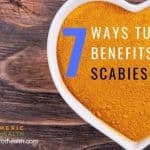 The way you take turmeric will still deliver benefits. Boiling turmeric powder helps to increase its solubility in water and increase its absorption. Though not applicable to fresh turmeric roots, boiling them would help you get a turmeric tea like drink that is also said to benefit health based on readers’ experiences. Curcumin in Turmeric actually helps in proteinuria – protein excreted in urea. 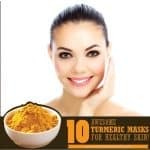 We generally recommend Golden Paste as one of the best ways to take turmeric powder for therapeutic purposes. However we would recommend consulting a health practitioner about this so as to find out what is the cause for proteinuria. Since it is related to kidney health, it is important to note that turmeric has potassium and as a spice it contains oxalates. In case of kidney disorders these cmponents must be avoided in diet. So she may not be allowed to consume turmeric as a spice in therapeutic amounts and may need to opt for supplements. Please consult a health practitioner about this. Hi. Thank you for your feedback. 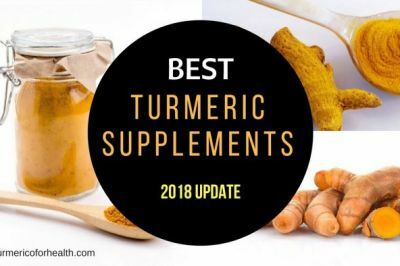 Here is a good brand of turmeric supplements. You can read up about the company and take an informed decision. I grow turmeric and ginger and juice it through a wheatgrass juicer only. I take the juice…equal parts of each and add a good amount of good HONEY, not grocery store, to the juice and blend together. The honey is a preservative, so no need to refrigerate the elixir after blending. Place a tablespoon amt. in a glass of silk coconut milk and drink. Tastes like egg Knog. You can add PEPPERINE To the mix if you like, but using the pure fresh liquid….Mother Nature supplied the turmeric oil in it. Much better to use than dried powder. Buy your ORGANIC turmeric and ginger in bulk…Amazon has it. Unbelievable results…great energy and healing for cancer. Thank you for sharing this, Bernadette. Glad to hear that turmeric benefits you. Turmeric and ginger are an excellent combination and great as anti-inflammatory and natural pain-killers. They improve digestion and have anti-microbial effect as well. I was diagnosed with gallstones 2 yrs ago, 2 episodes of abdominal pain for few minutes. Surgery was recommended but i did the chinese remedy for gallstones–taking apple juice, olive oil and lemon for 1 wk. I did this twice. No pain since i was diagnosed. Can i take the tumeric tablet or dietary supplement? Hi. It is best to consult a health practitioner about taking turmeric supplement in your case as curcumin does cause gall bladder contraction which may be problematic in case of active gallstones. By the way thank you so much for caring. The work you do would be very rewarding -you are wonderful. Hi. Turmeric actually can prevent gallstones, as curcumin help the gallbladder contract and improves its function. Based on the study it is possible that a contraction of this kind may cause pain in active gallstones. 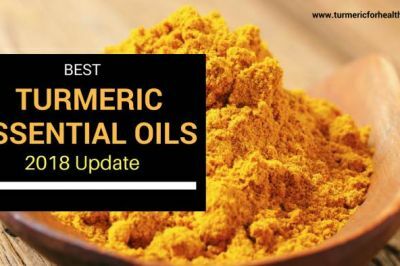 However if you have taken turmeric previously in diet and not faced any issue, then there shouldn’t be any reason for it to pose a risk now. Dietary amount of turmeric should cause no harm. 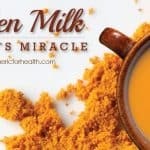 Also turmeric in milk is great for aches as the milk helps in absorption of turmeric. Thank you for your feedback! Glad to hear that our posts make a difference to your health! I am wondering how long does none need to be off Golden Paste before surgery, and soon could it be started again. Dietary turmeric is consumed daily in Asian countries and is not discontinued even prior to surgery. However you could stop consuming 2 weeks prior to be on a safer side and can start again 2-3 days after your doctor advises regular meals (if in case they were discontinued previously) or after you can resume regular diet.